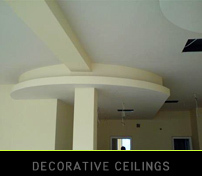 Modern ceilings are an evidence for the current views of customers for the interior and their desire for unique style. 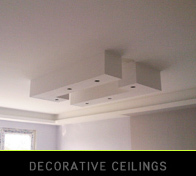 This type of ceiling gives the opportunities of experiments with the height in the rooms or highlights certain part of the room. The heights and figures can vary in horizontal or vertical planes. Also the difference in heights allow for hidden lights to be fitted. Please check the gallery here. 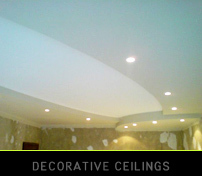 Our Modern ceilings are designed to suit every budget and any taste.